Well, the initial showing didn't go so well. 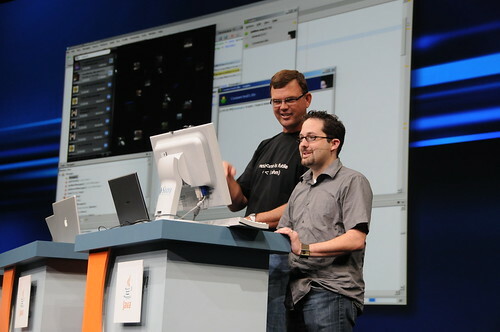 The main parts worked but it crashed twice on stage when my boss demoed it. When we showed it again this afternoon and added Jabber support live, everything worked beautifully. I guess the demo gods were happy the second time around.